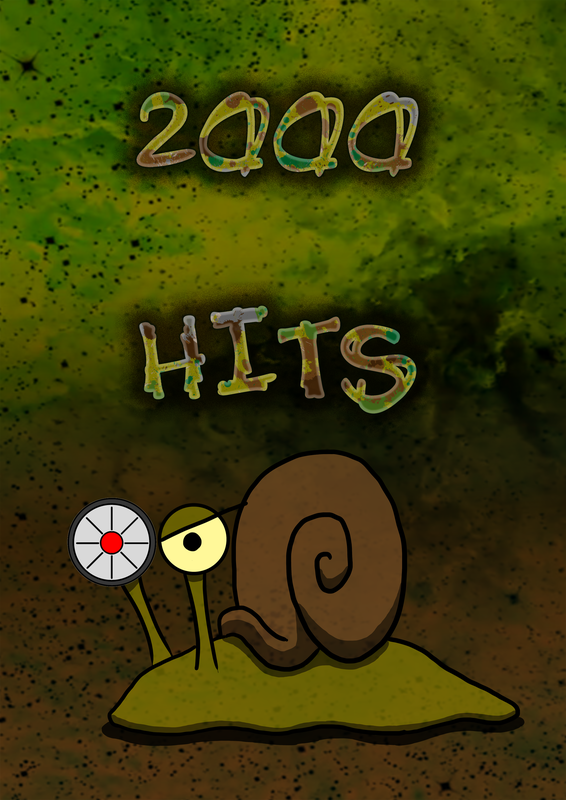 The latest page of Bionic Eyed Snail has pushed the number of hits on this site over the 2000 barrier. As a little thankyou I knocked up a quick image to celebrate hitting a huge milestone. I hope you all enjoy it and keep coming back to push the site towards future milestones. Thanks for the support and happy reading.